Majestic Mountain Pine Commercial Christmas trees available from 12' to 50'. Quality construction, high strength engineering and attention to aesthetic details comes together to create a spectacular Christmas centerpiece. 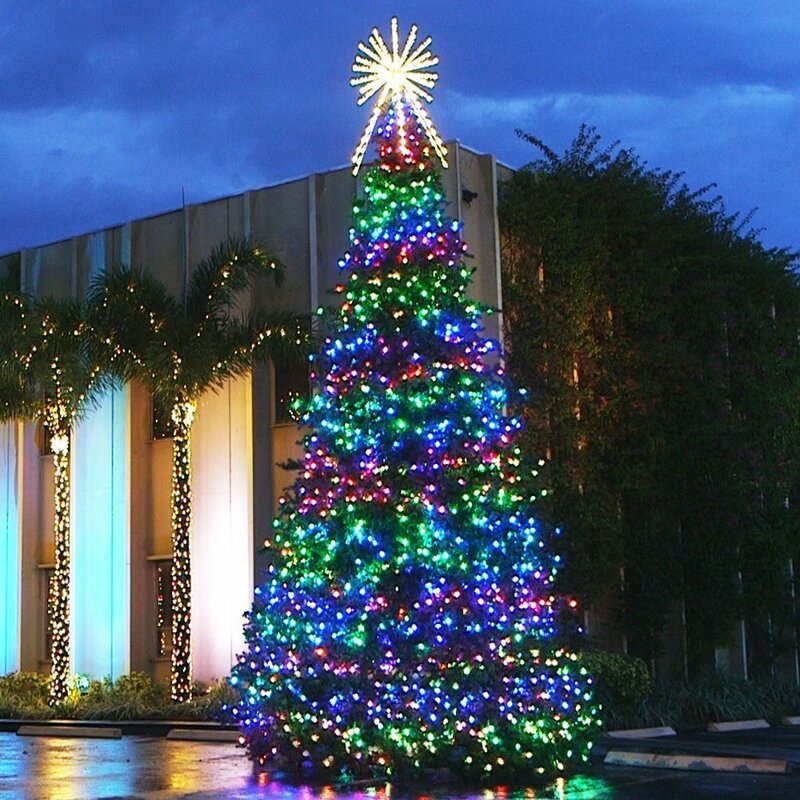 Advanced next generation RGB animated LED technology combined with our world renowned Majestic Mountain Pine Commercial Christmas Tower Tree. Available pre-programmed for easy installation or add your own custom animated program. 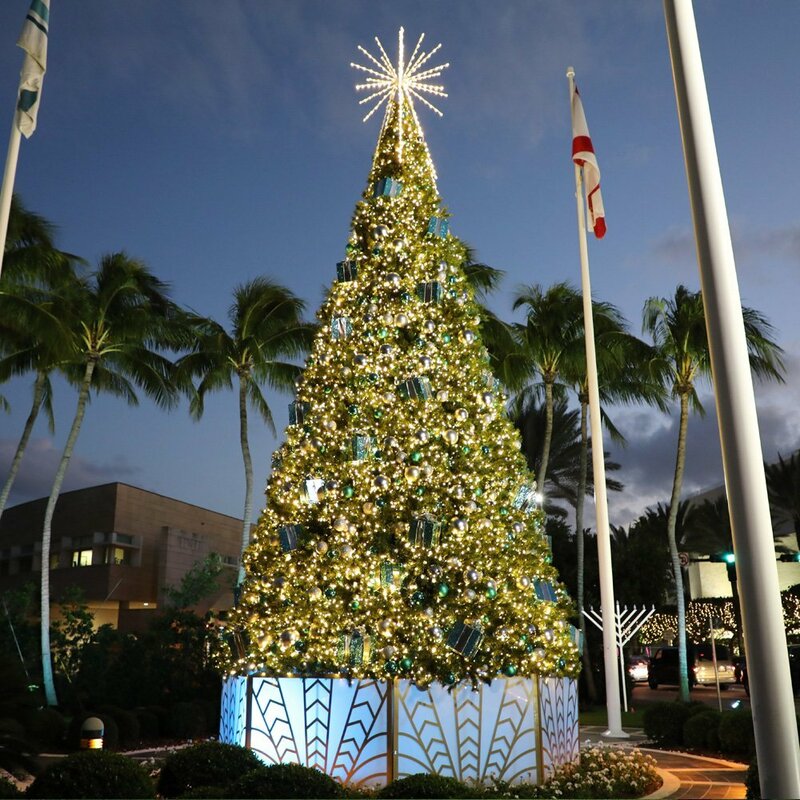 For exterior and interior commercial and high-end residential, the Majestic slim base Christmas tower tree is a great choice when a more refined, elegant tree is desired. Designed for outdoor applications, but equally suited for demanding interior applications. 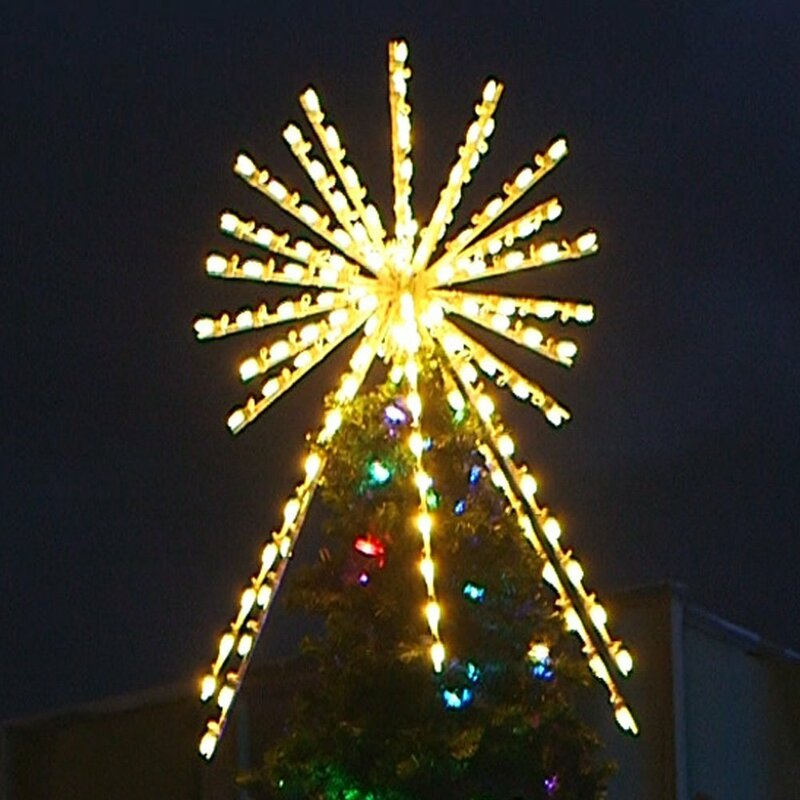 The original commercial Christmas tower tree remains a popular tree throughout the world. 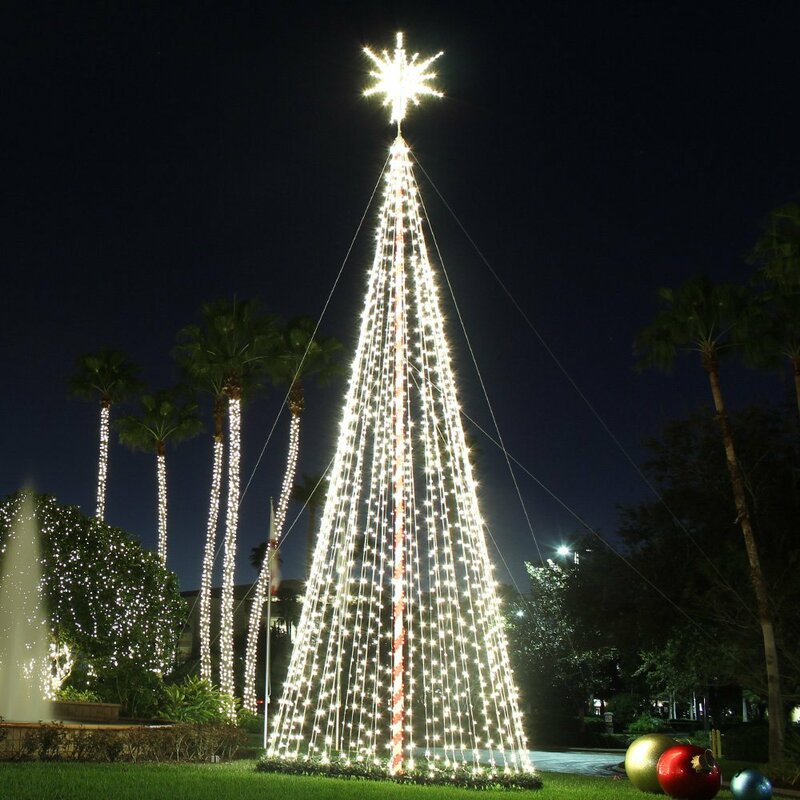 Classic design combined with quality LED lights creates a tree that stands the test of time. 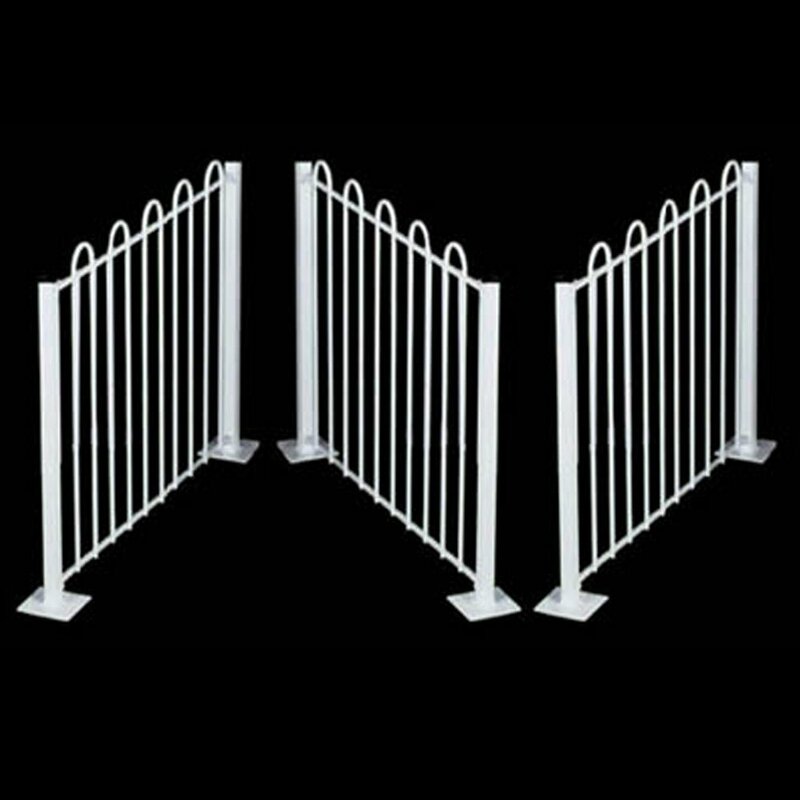 Available from 12' to 100' in height. 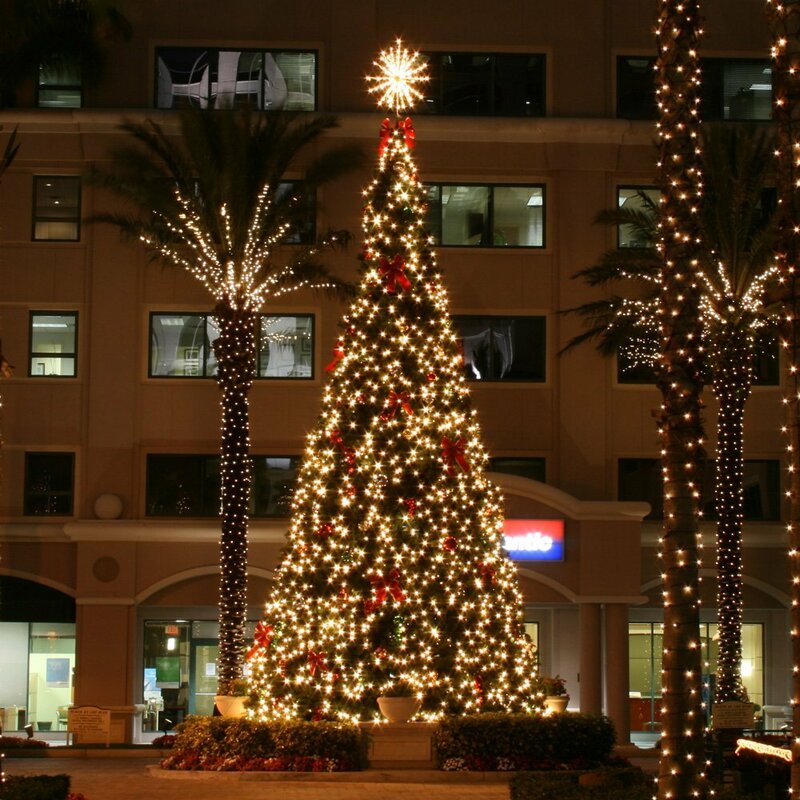 Commercial Christmas tree of lights offer easy installation, compact storage and years of trouble free Christmas decorating. Use alone or as an element in a larger holiday decorating program. Available in a variety of lighting and color options. Top off your commercial Christmas tree with a 2 or 3 dimensional tree topper. Illuminated with advanced SMD LED technology and quality design elements. 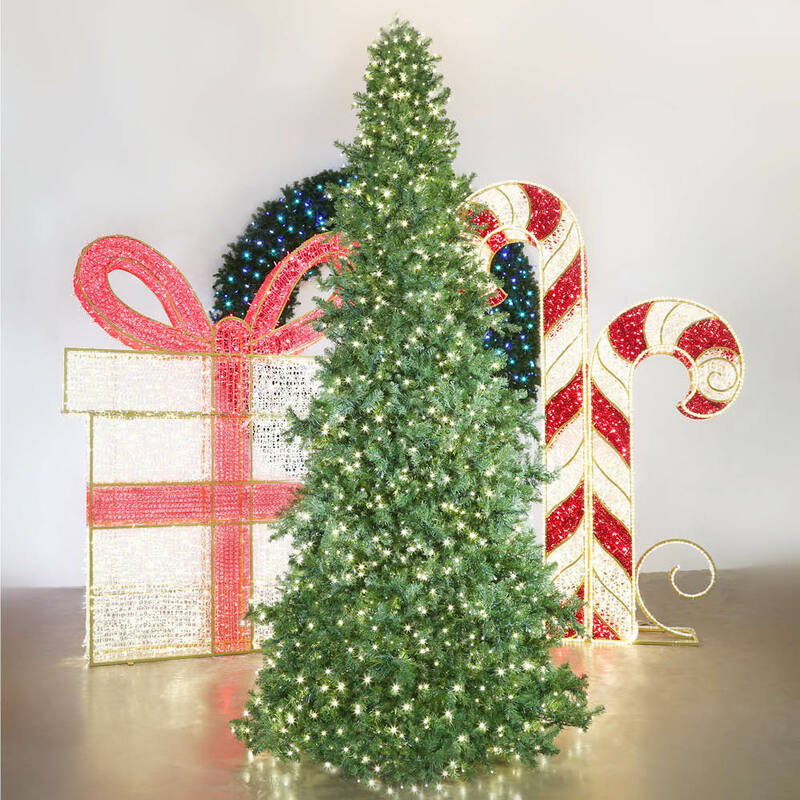 Make your Christmas centerpiece the beacon of Christmas spirit with a stunning LED topper. Christmas fencing around the base of a commercial Christmas tree adds a unique design element to your Christmas centerpiece. Also serves as a functional barrier to help keep overenthusiastic kiddos away from the tree. 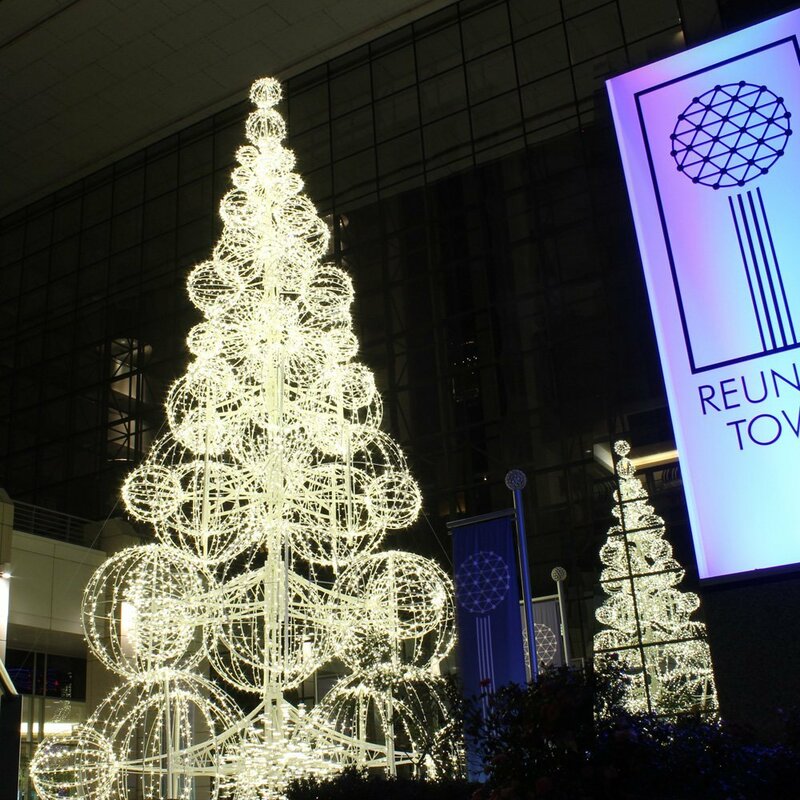 Grand Illuminated Sculpture Trees, also known as Sphere Trees offer a contemporary design twist on the classic commercial Christmas tree. Stunning LED illumination and sophisticated elements come together in a beautifully unique Christmas tree. 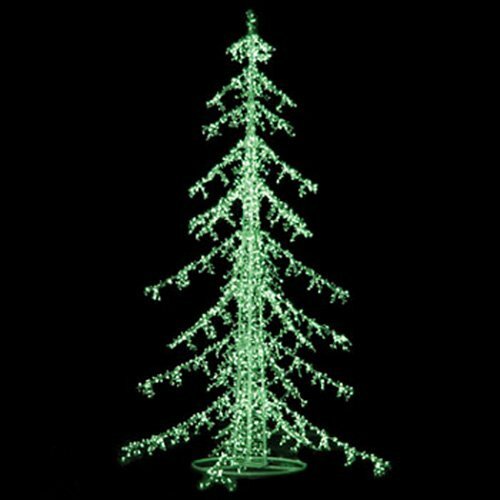 LED Ice Trees are available as downswept or upswept trees in sizes ranging from 8' to 16' and a variety of vivid LED colors. Ideal for a wide variety of commercial and residential decorating applications. Classic design, Christmas Spiral Trees offer a nostalgic twist on Commercial Christmas decorating. 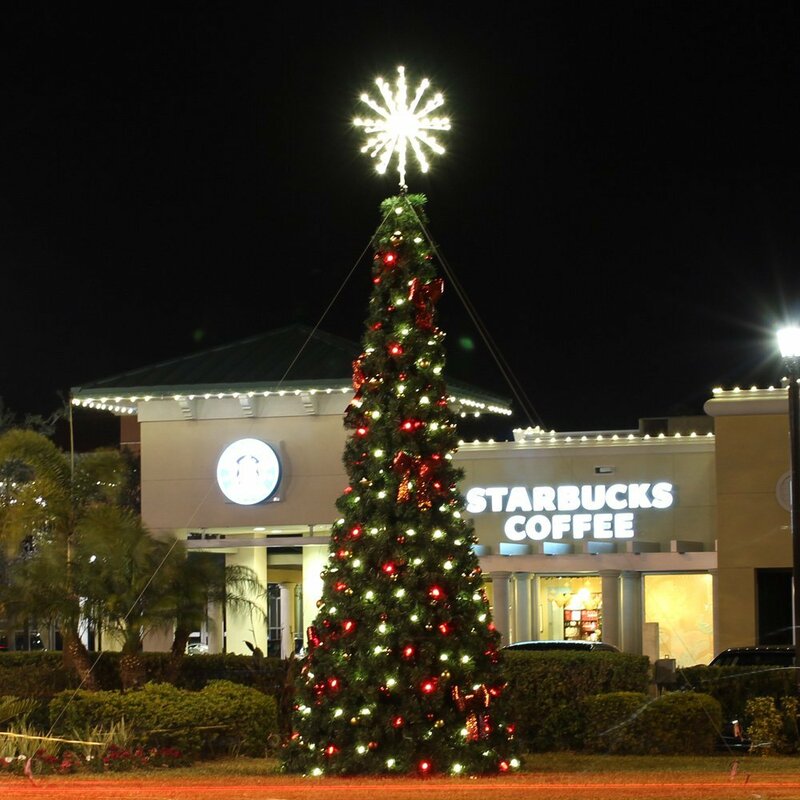 First gaining popularity 6 decades ago, these timeless trees and displays are ideal for cities, shopping centers, communities and businesses.